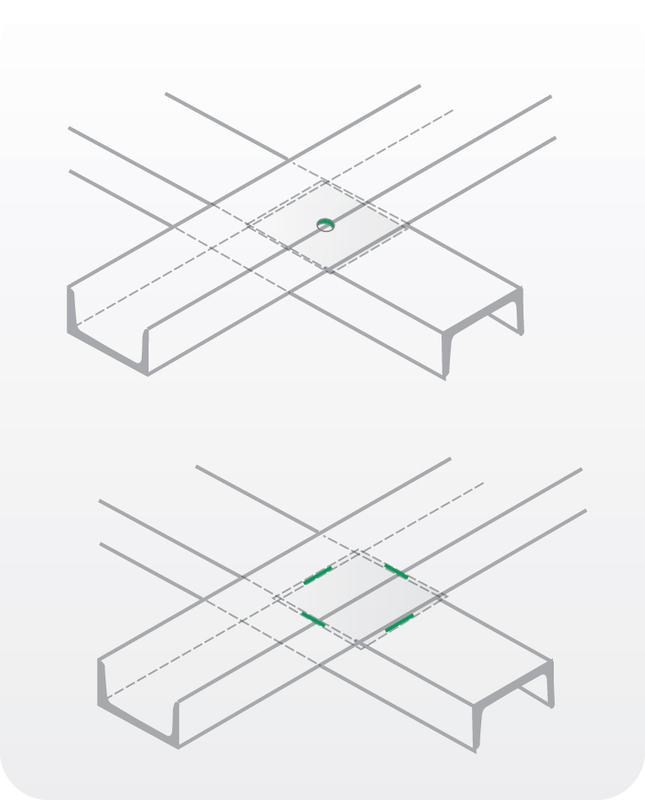 Products must include all the necessary openings for galvanizing so air could escape and zinc could reach everywhere and vice versa. 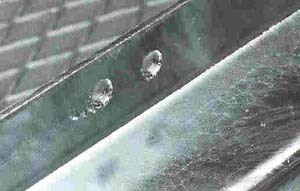 One of the most important factors that affects the thickness of the zinc coating given to steel structures during hot dip galvanizing is the percentage content of silicon (Si) in the chemical composition of steel. Relation is shown in the following graph. 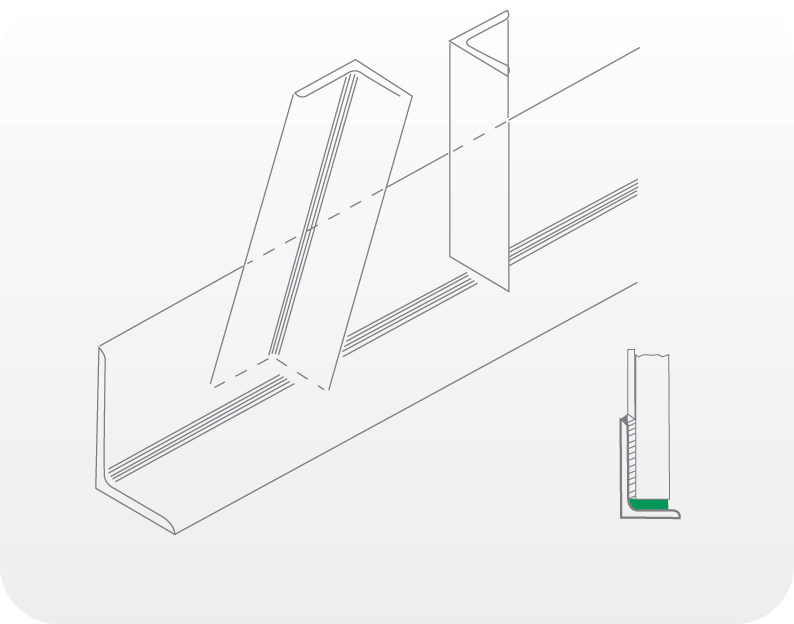 Optical impression of the external surface (external appearance and structure) of the part is considered one of the most important factors besides corrosion protection achieved with zinc coating. In order to achieve the desired result the chemical composition of steel material used for hot dip galvanizing must meet specific requirements. structure and appearance, their content is quite accurately determined in order to achieve high quality zinc coating. Normal reaction between iron and zinc, silver glossy surface coating, normal thickness coating. Avoid! Sandelin range, accelerated reaction between iron and zinc, grey zinc coating, thick coating. 3) Sebisty range, normal reaction between iron and zinc, silver matte surface coating, medium thickness coating. Avoid! In case of increasing silicon content accelerated reaction between iron and zinc, grey matte zinc coating, thick coating. 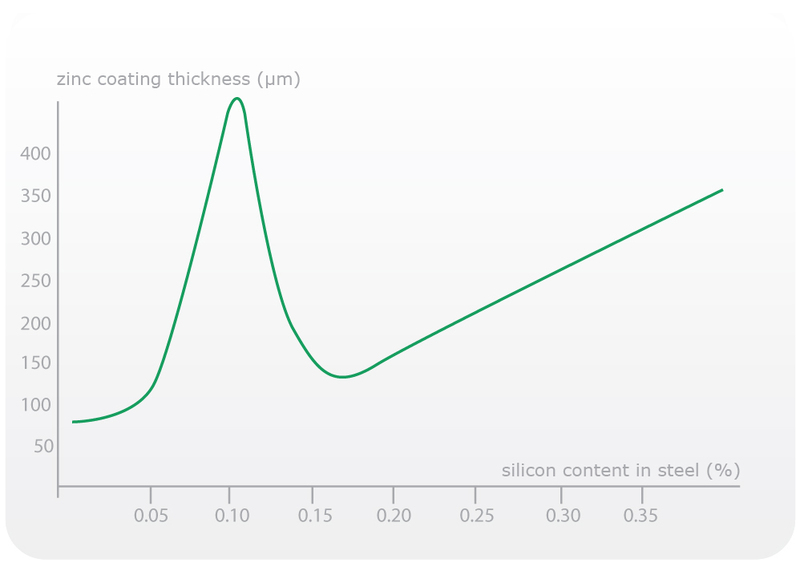 Silicon (Si) content is specified in the material certificate. 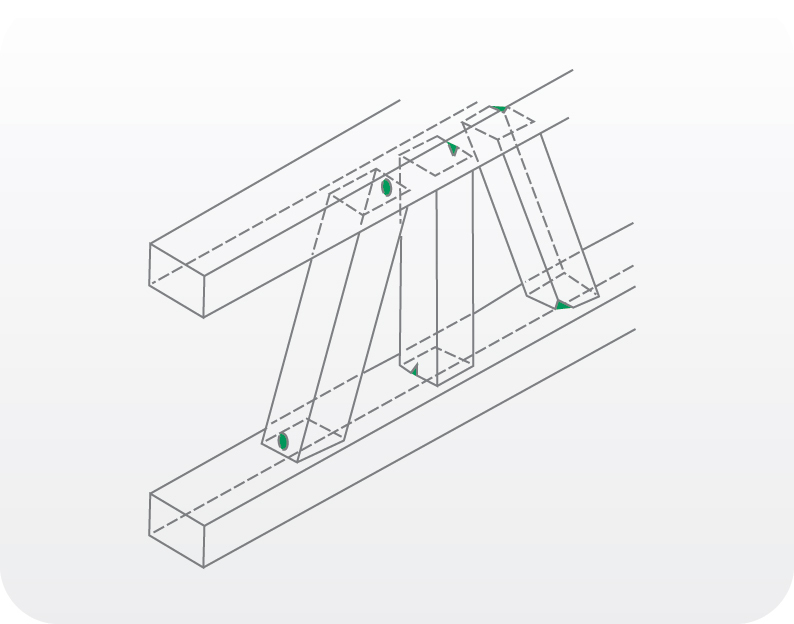 The constructor and maker must ensure that no closed corners are created when adding supports to the structure. 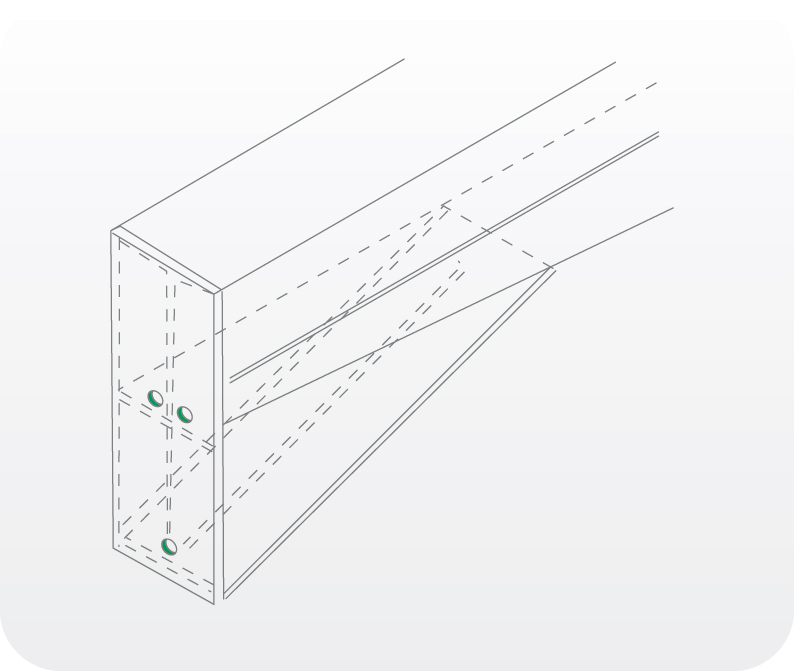 Open corner ensures that molten zinc covers the entire structure. Different locations of the technological openings. 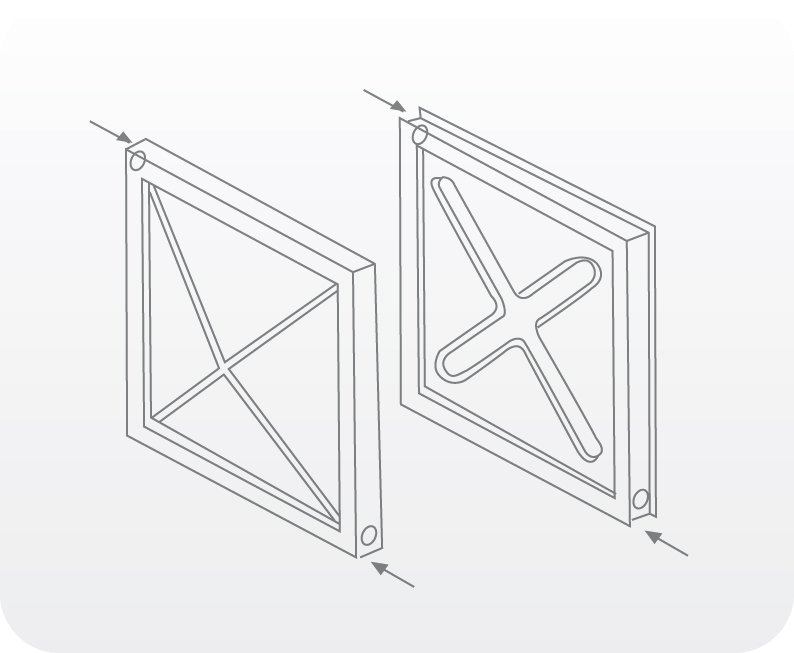 Make sure the openings on the other end are located on opposite sides. 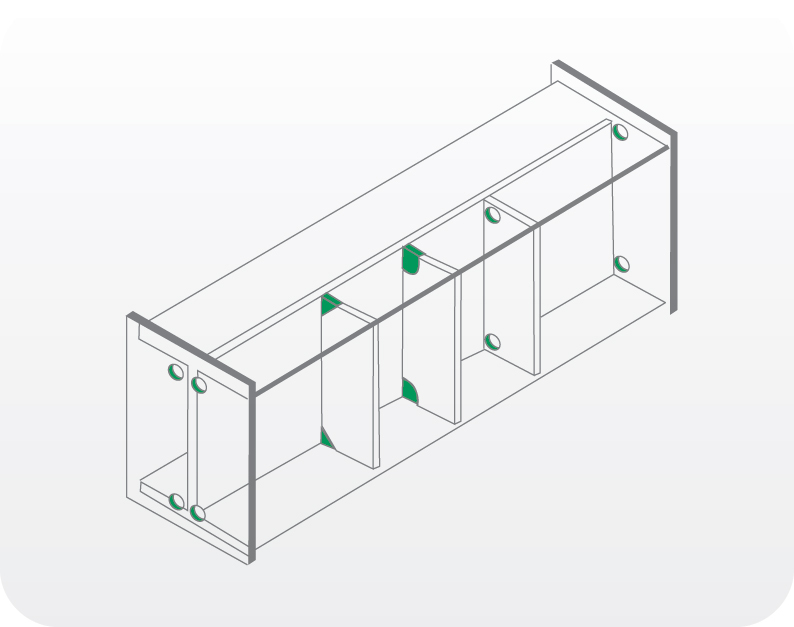 Internal supports in such parts must include technological openings on both upper and lower side. Openings on the ends must be on opposite sides. 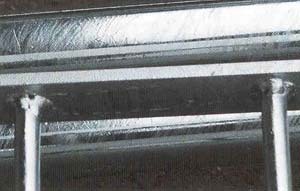 Containers are equipped with required eyebolts. 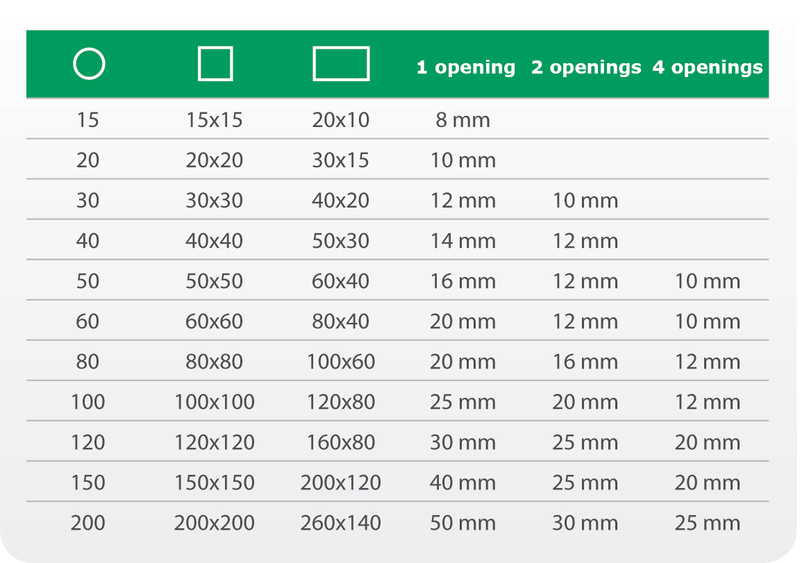 In case of larger containers the size of openings and eyebolts should be consulted with the production manager. 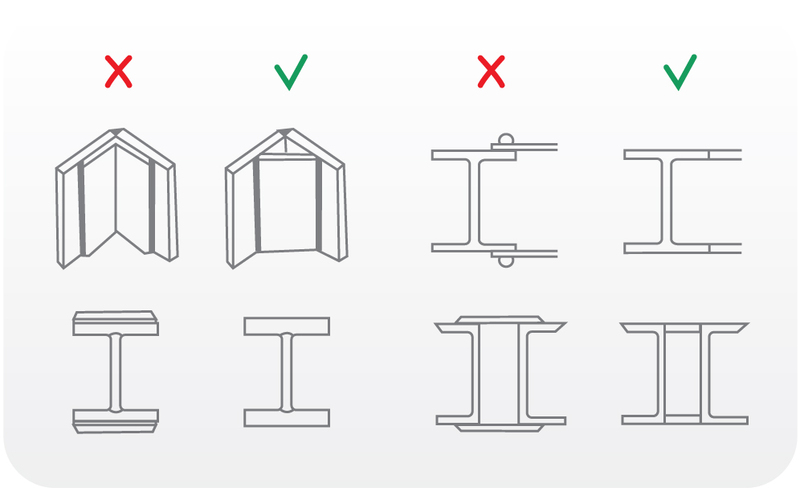 Left column shows assembly solutions that do not guarantee high quality hot dip galvanizing. 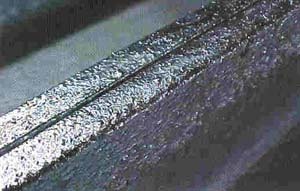 Since molten zinc is unable to reach between the parts that are against each other, no protective layer is formed in this gap and soon it will begin to corrode. This also applies to bolted joints. 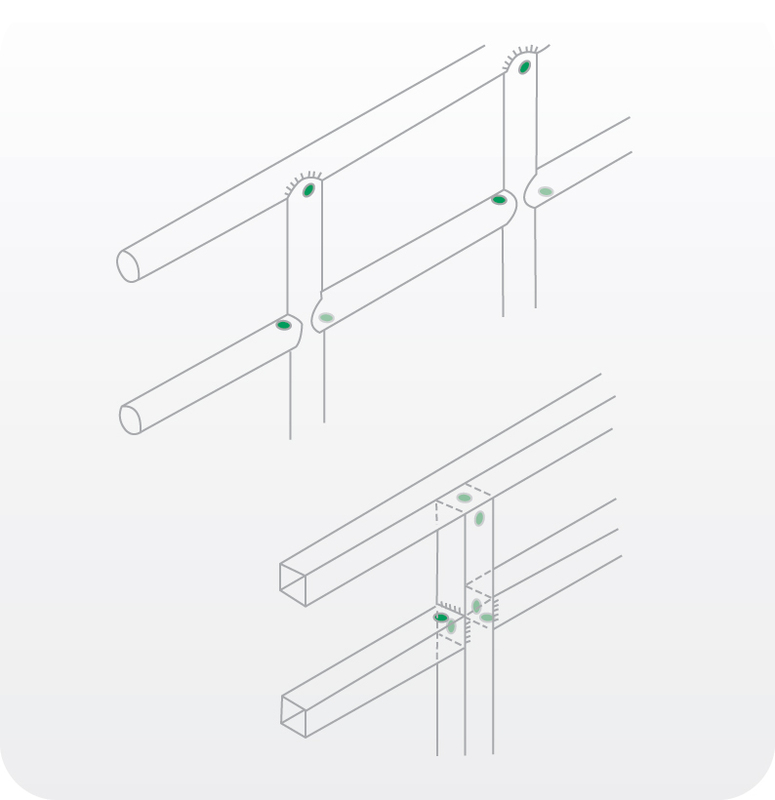 It is recommended to make all bolted joints after galvanizing to ensure complete corrosion protection for the parts. With this type of structures it is important to ensure that technological openings are as close as possible to the welds. Pipe ends should be left open, if possible. 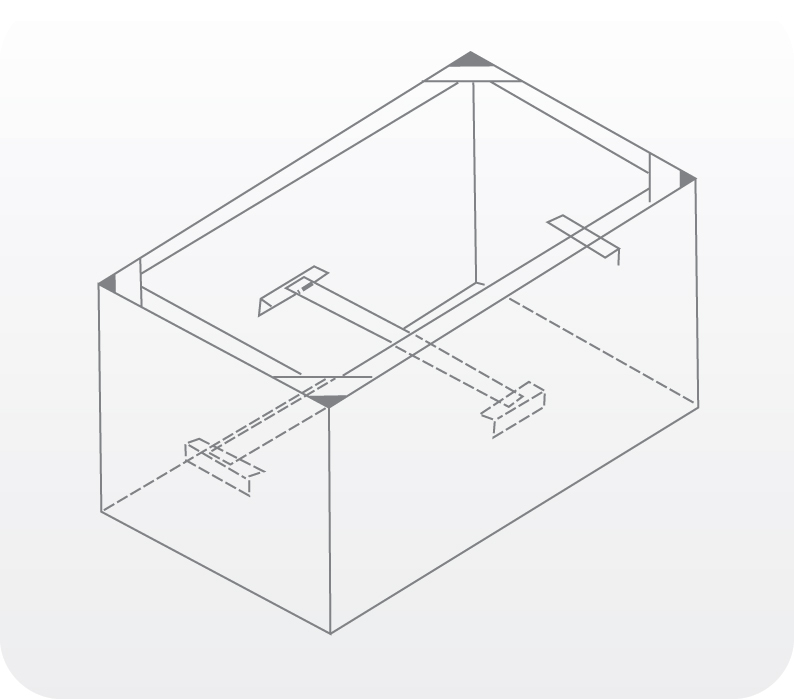 When internal so called hidden openings are used, the hot dip galvanizer must be informed. 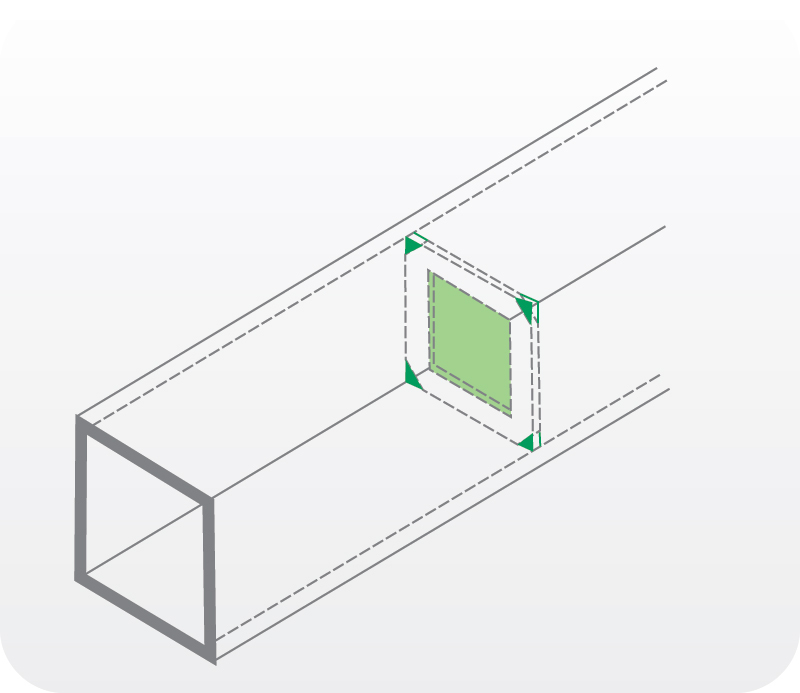 The size of hidden openings should have a maximum possible diameter allowed by the pipe. 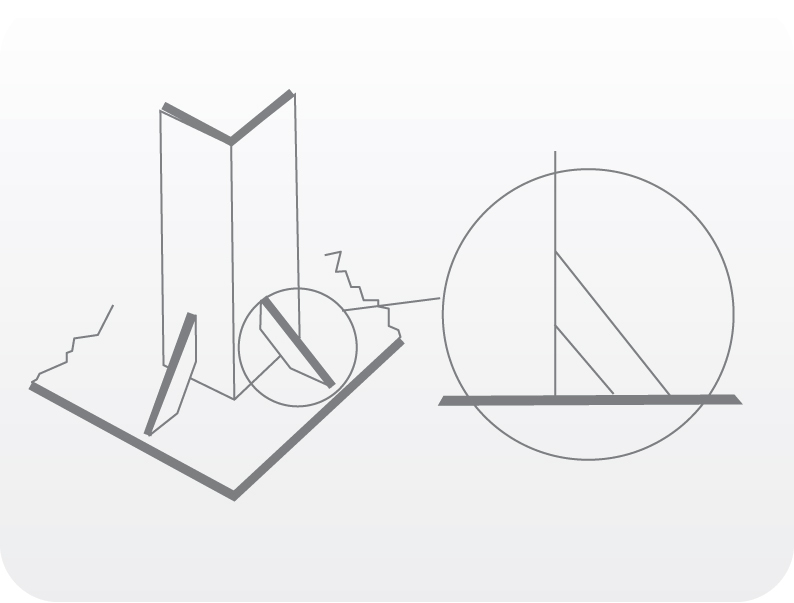 Make sure no closed outlines are created with these assemblies. You can avoid it by drilling a hole in the part or using so called stitch welds. When galvanizing such structures use additional supports, if possible, to ensure maintaining the external shape even after hot dip galvanizing. 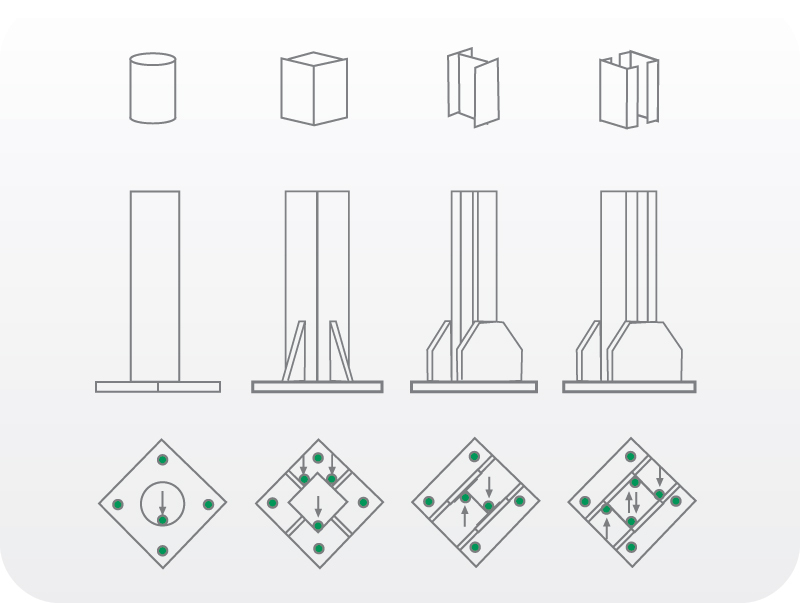 The figure shows different solutions of technological openings. 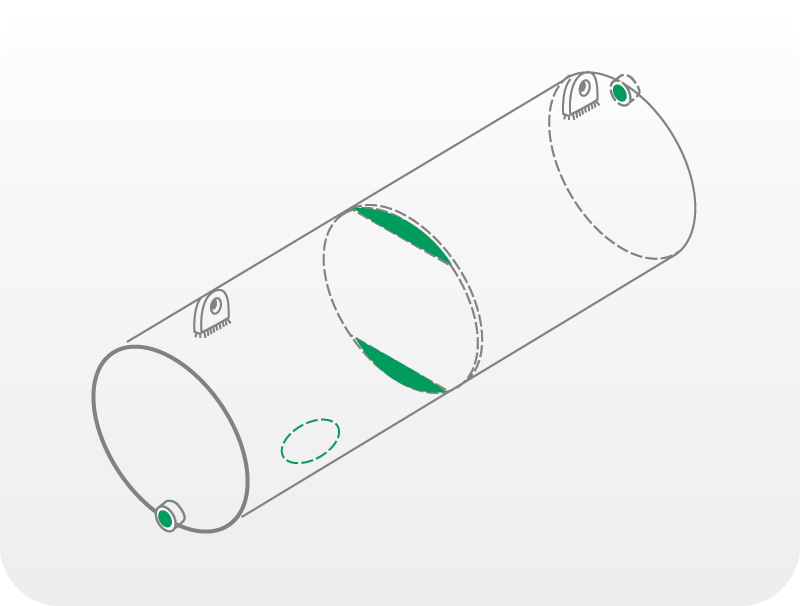 Make sure the openings are located on opposite sides of the pipes. 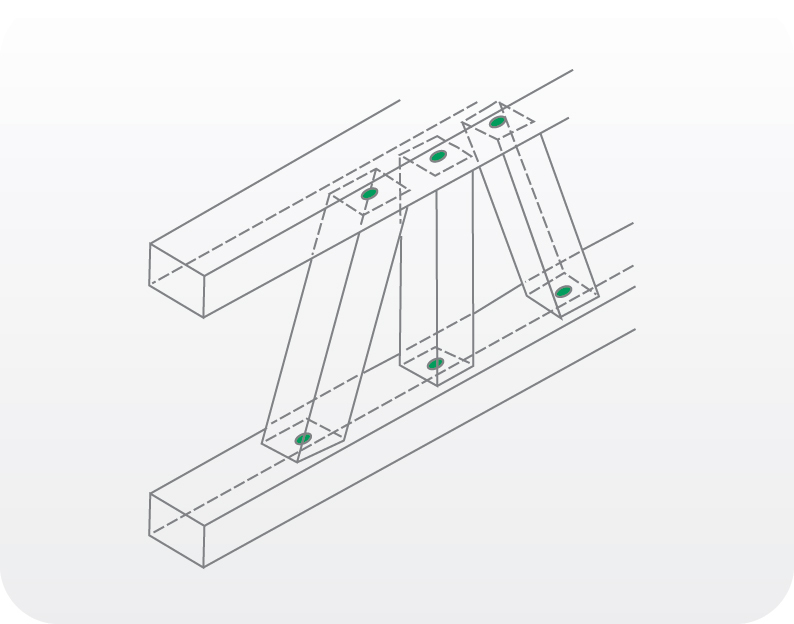 The figure shows the location of technological openings in end plates and reinforcement ribs. 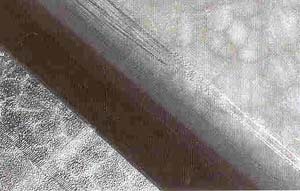 Zinc coating thickness with dipping method required by ISO 1461.